Chris represents clients in all aspects of commercial, corporate and consumer finance transactions as well as compliance and general business matters. He counsels parties on all sides in secured and unsecured loans, structured financings, distressed debt situations, asset securitizations, factoring, swaps, volumetric production payments, commodities hedging and derivative transactions and lease financings. 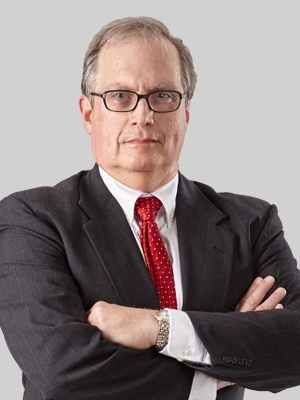 Chris is also experienced in private company merger and acquisition transactions. His practice also includes bank and consumer finance regulatory matters relating to "non-bank" banks and usury, "margin stock," Truth-in-Lending, ECOA, FCRA, GLB. Represents the originators in various receivable, mortgage loan, student loan and other asset-backed structured financings and securitizations (up to $500 million). Represents various money center and regional bank lenders in numerous working capital, investment finance and acquisition finance lending transactions (up to $50 million). Represented a Fortune 500 company in the “true sale” of equipment lease receivables ($38 million). Represents numerous borrowers in working capital, acquisition financing and real estate financing transactions (up to $1 billion). Represented a Fortune 500 purchaser of $225 million in aggregate-related volumetric production payments. Represented the purchasers of distressed bank holding companies' debt. Represented the purchaser of various home builders in transactions exceeding $100 million. Represents buyers and sellers in various acquisition and divestiture transactions ($2 million to $200 million). Successfully defended a major Minnesota usury class action suit. Represents lenders in cannabis-related transactions. Regularly prepares true-sale and non-consolidation opinions. Prior to joining Fox, Chris was a partner with Oppenheimer Wolff & Donnelly LLP. Chris provides pro bono services to Project Home, serves on the Campaign Committee for Southern Minnesota Regional Legal Services, and the board of the Boy Scouts Hickey Golf Classic.